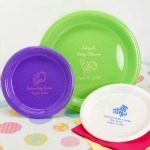 Unique napkins can add character to the baby shower decorations. 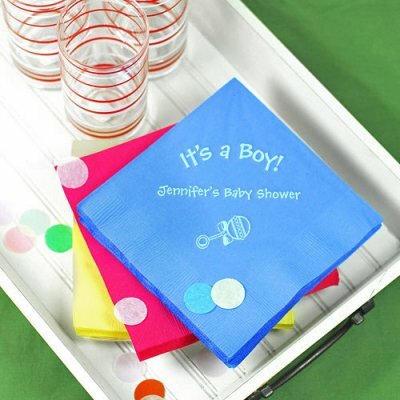 You can choose either one color that matches your color theme or be more elaborate and create or buy themed baby shower napkins. It is always a good idea to consider the other decorations when choosing the napkins in order to achieve a harmonious look. 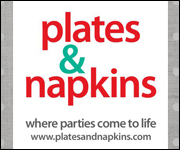 you will find a wide choice of colors, icons and infinite array of imprint colors, use your imagination and personalize the napkins. 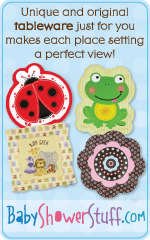 If you are throwing a themed baby shower you can buy themed baby shower napkins.